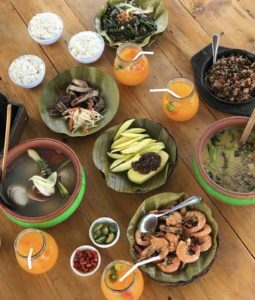 Congratulations to Bond student Mika Uemura for her recent trip to the Philippines! Mika went to Cebu and Mactan from January 2 to January 5 of this year! Cebu is a long and narrow island, 32 km at its widest point, almost 196 km long, and is about a 6-hour flight south of Osaka. 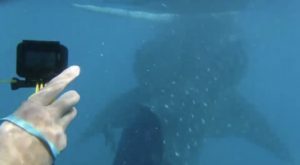 Mika’s purpose of going to Cebu was simple: she wanted to swim with whale sharks (ジンベイザメ)! 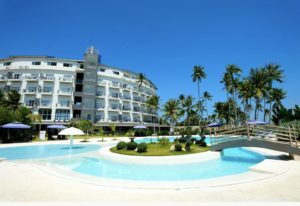 On her first morning in Cebu, Mika had a 3:30 AM pick up at her hotel, the cute Solea Seaview Resort Hotel Mactan. Very nice! The tour-bus ride took four hours to the beach in Oslob, located at the southern tip of Cebu. There are no highways on Cebu! When Mika arrived in Oslob she found many people on the beach waiting for many whale shark tour boats. 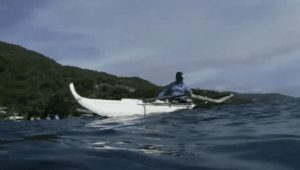 The boats are called bangka boats, which on Mika’s trip, were small double-outrigger vessels powered by oars only. The bangka boat ride, from the beach to the whale shark point, takes only 3-minutes. Tour staff were feeding the whale sharks from the boats, and about 5 to 6 large whale sharks came very close to the boats to feed. 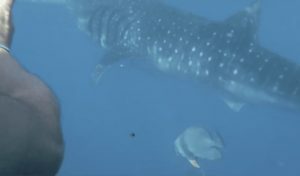 Don’t worry, whale sharks do not bite! Mika, wearing lifevest, mask and snorkel, jumped in and was swimming and observing the animals at a very close distance, about 1m! 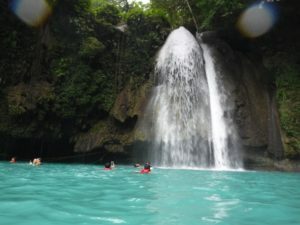 After swimming with the whale sharks, her tour also included a trip to beautiful Kawasan waterfall, for more swimming and lunch. 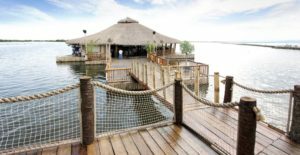 On her second night Mika visited a famous Cebu restaurant, Lan Taw Floating Native Restaurant, a popular dining spot floating on the water! On her last 2 days in the Philippines, Mika went shopping at J Centre Mall and at Ayala Mall. 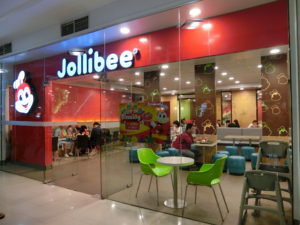 She grabbed souvenirs including banana chips, dried mango, local hair-treatment oil, and had lunch at Jollibee, a fast food chain, which in the Philippines, is more popular than McDonald’s. She even had time for a nice aroma massage! 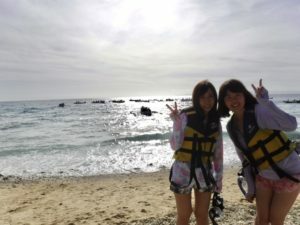 ***Student News*** – Yashiho Nakatani – Egypt and Dubai trip! !